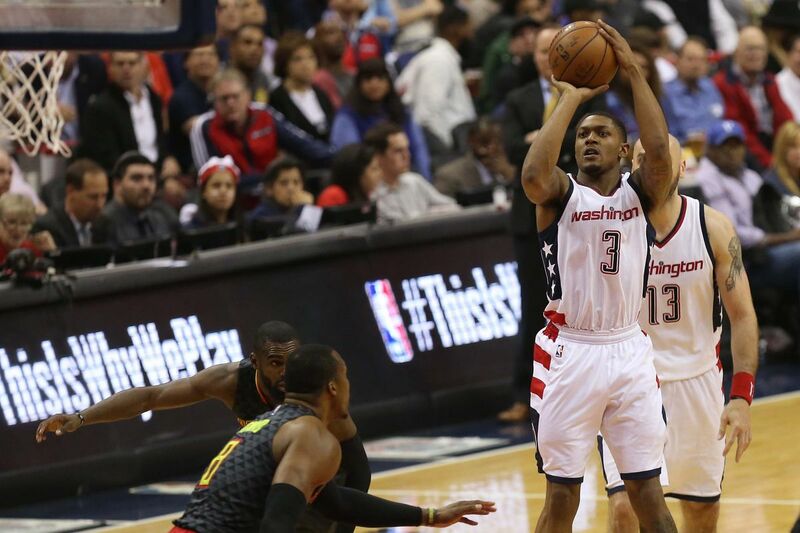 Two of the top five small forwards in the NBA will face-off in Round One of the Eastern Conference NBA playoffs. LeBron James will lead the defending champion Cleveland Cavaliers against Paul George and the red-hot Indiana Pacers in a best-of-seven series. On Saturday, April 15th at 1 pm ET the first game will feature these two rivals. This will be the fourth time these two stars have faced each other in the playoffs. 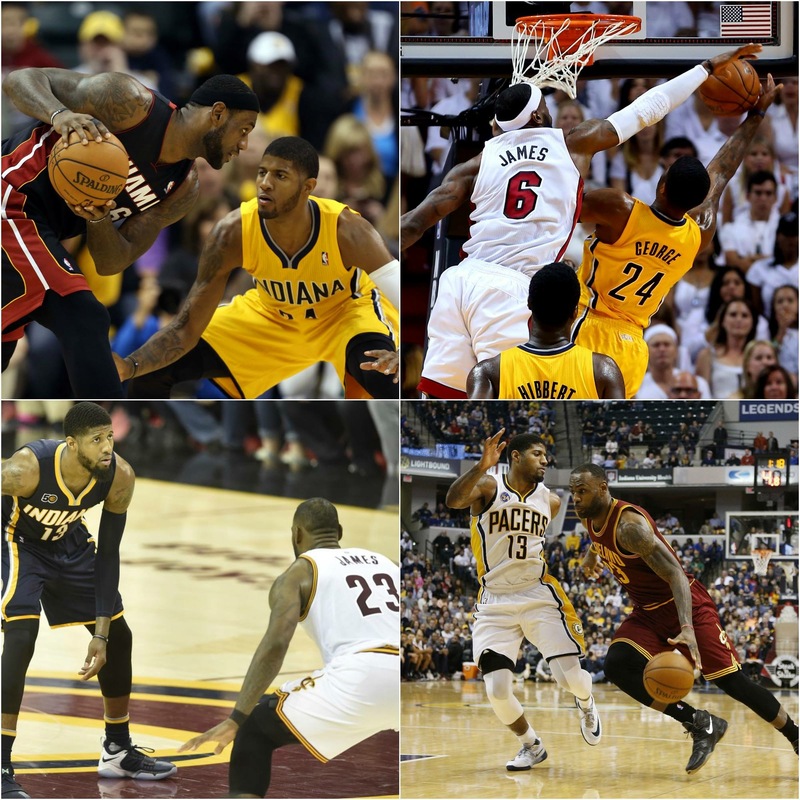 LeBron’s team has won three straight against Paul George so you can bet this will be a physical battle to advance to the next round. Before the upcoming matchup is discussed, let’s review the most recent history between the two. In 2014, the 56-win Pacers faced off against the 54-win Miami Heat. 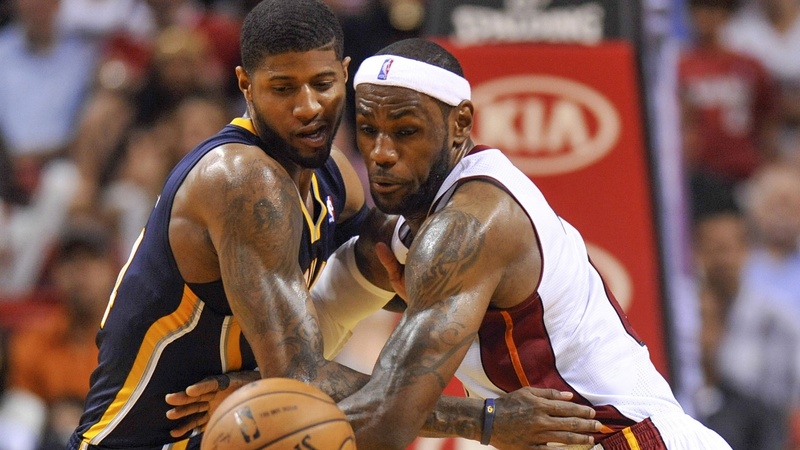 After losing to this Heat team two years in a row, Paul George was out for vengeance. George led the series in scoring with 24 ppg but also took more field goal attempts than anyone. Miami won the series 4-2 and it didn’t feel close. LeBron, Dwyane Wade, and Chris Bosh averaged 58.8 ppg in the series showing their dominance throughout the Eastern Conference playoffs. Other on the side of things was the Pacers who were disappointed another season. The starting five of Indiana played well averaging 76.5 ppg but just wasn’t enough to defeat the then self-proclaimed “Heatles”. Pundits felt at the time that the Pacers had the team to take down the Heat but just couldn’t put it together. They will look to advance out of the first round for the first time since this heartbreaking loss. The two good friends will face off for the fourth time in the playoffs. LeBron and the Cavaliers are coming off an inconsistent regular season flaming out in the latter part of the year. Meanwhile, the Pacers got hot at the end of the year and needed every game to make the playoffs. They finished with the seventh seed and the prize: the defending champions. Game on. Winning this game will come down to the “others”. You can bet that LeBron James and Paul George will show up and perform. But can they count on their teammates to up their game to advance to round two? George will need big efforts from players like Monta Ellis, newly acquired PG Jeff Teague, and second year center Myles Turner. Plus Lance Stephenson will need to bring that energy and playmaking off the bench on a more consistent level to beat this team. Likewise the Cavaliers will need to come out with a focus they haven’t show much at all. First Tyronn Lue will need to prove he can manage and make the vital decisions in the playoffs. Secondly, Kyrie Irving and Kevin Love have to win their matchups against Teague and Thaddeus Young respectively. And the bench players for Cleveland must begin to develop real chemistry and play up to the level of the starters. Deron Williams, Kyle Korver, and Channing Frye will have to play major roles in the offensive production. Finally, Tristan Thompson with Love and LeBron will need to win the interior rebounding and defensive battle against Young, Turner and veteran Al Jefferson. Not enough talent for the Pacers to keep up and a determined LeBron James will be itching to get back to the finals for an eighth straight year.